PhD student Luke Gibson, back from the field in Thailand, has published an alarming study with co-workers. They had studied the native small mammal fauna in 16 of 100 forested islands in the Chiew Lam Reservoir in South Thailand, which was formed in 1986-1987. 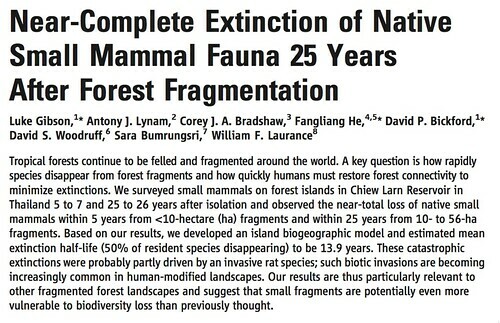 They report the disappearance of small mammal communities there, which was not observed in the larger mainland forest. The study then derives an island biogeographic model for fragments of 50ha and less based on these findings. Gibson et al. also highlight the relationship of species invasion and habitat fragmentation – almost all the islands are now dominated by the Malayan field rat Rattus tiomanicus. 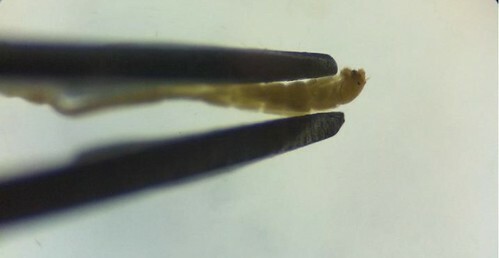 A secondary-forest species at best, its ability to exploit human modified landscapes suggest a potential to accelerate extinction rates in these situations. This highly relevant work in light of increasing fragmentation complements previous work with birds, and highlights the need to preserve sufficiently large forest blocks to sustain tropical forest biodiversity. “Tropical forests are regularly cleared for logging, farming and cities. In most cases, the only original tree cover is reduced to isolated patches. Many of the original species of plants and animals may still survive in those fragments, but they experience new stresses. The edges of the fragments are no longer dim and humid, for example. Let’s hope these findings are injected into present conservation and management decisions sooner rather than later. 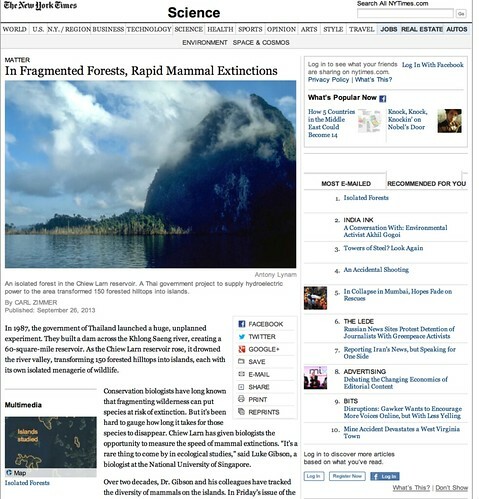 “In fragmented forests, rapid mammal extinctions,” by Carl Zimmer. The New York Times, 26 Sep 2013. Forest fragmentation triggers ‘ecological Armageddon,’ by Mark Kinver. BBC News, 26 Sep 2013. “One-two punch’ decimates small mammals,” by Anna Salleh. ABC Science, 27 Sep 2013. 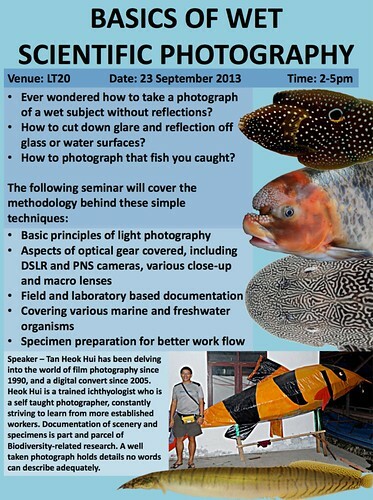 About the seminar – The seminar will cover basic principles of light photography, the different aspects of handling aquatic organisms for macro photography, gear and specimen preparation. This is directed at environment biology students but all are welcome! Deadline for Applications: 13 September 2013. Only short-listed candidates will be notified.